The factory reset for the Sony Xperia M2 is the same for both the Sony Xperia M2 Aqua both D2403 as well as the Sony Xperia M2 Aqua D2406. The same also goes for the Hard Reset of the Sony Xperia M2 being both D2305 a well as the D2306 versions of the Sony Xperia M2. Note that this is not the hard reset of the Sony Xperia M4 which is on another page of this website or the hard reset of the Xperia M4 Aqua Dual. Note that you do this at your own risk as the reset will permanently delete all your data on the reset has been done. Much like other mobile phones the hard reset or the factory reset for the LG G3 Dual-LTE D856 phone is very easy to do. The LG G3 Dual-LTE D856 can be reset in two manners. The first is with the menu system and the other with the button sequence. Most users tend to make use of the menu as it is easier to do and much more simple. Also take note that once the phone has been reset the data is gone – permanently. This includes all your settings, passwords and data. You do this at your own risk. Here you will find the reset procedure for the LG G2 Lite D295 and you will note that it is very similar to other mobile phones such as the LG Tribute LS660 which also has two hard reset options. The menu system would be the same for the reset but the ‘button’ process is a bit different. You will notice the process listed below and you can follow the instructions. Note that a hard reset or factory reset will delete everything on your phone including your settings, passwords and photos as well as other date. A backup to your computer would be needed if you are not wanting to lose all your data and settings. The reset of the LG Tribute LS660 is a bit different from the other LG phones on the market. There are 2 ways of doing a factory reset or hard rest on the LG Tribute LS660 and there are the two options. The first and easiest is the menu system and the other is the reset via the buttons on the mobile phone. People tend to use the menu system of the mobile phone to do the hard reset. Note that once the data has been deleted you cannot recover it and this includes your settings, passwords, photos and other data on your LG Tribute LS660 phone. Much like the other LG mobile phones such as the LG Spirit 4G LTE H440N as well as the reset of LG G4 H815, the LG G Flex 2 hard reset is much the same. You will note that the LG G Flex 2 reset has two options being one done by the menu system and the other via the buttons on the mobile phone. Most people tend to use the menu system as it is easy to do instead of pushing buttons. Note that you should backup your data to your computer if you want to use it again. This includes your settings on your phone. Doing a hard reset on the LG Leon 4G LTE H340N mobile is very easy as there is a menu reset and a button reset. Both options are available on the LG Leon 4G LTE H340N much like other mobile phone sin the LG range. Note that a factory reset or hard reset will erase all your data and will set it back to the state you bought it in. All your data as well as all your settings will be deleted so backup all your data before you start the process. You have been warned. If you are going to reset the LG Spirit 4G LTE H440N then you can do a factory reset or a hard reset with the instructions listed below. You will need to backup the settings from your mobile phone to your computer. There are a number of software programs for this. Once you have reset your mobile phone you will not be able to recover your data again. You are doing this at your own risk. If you have a LG Spirit H420 mobile phone and want to factory reset the phone then the instructions have been added below. Like other mobile phones in the LG range such as the LG G3 phone as well as the LG G4 H815 mobile phone. You will also note that doing a factory reset will wipe all the data from your phone and you will not be able to recover this data again. Always backup your data before you reset the mobile phone. The LG G4 H815 mobile phone can be reset as shown below with these simple instructions. Note that a backup of the mobile phone is a very good idea as once the reset has been done you will not be able to recover the data again. Your photo’s, WiFi settings and other password will all be deleted permanently. 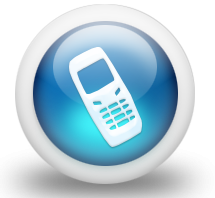 You can search this website for other mobile phone resets as well as APN settings for your mobile phone provider. Note that the hard reset of the LG G3 A F410S mobile phone has been added below. This is also called a factory reset and there are two ways of doing this on the LG mobile phones. You will note that much like other LG mobile phones the hard reset can be done via the menu system as well as by the buttons on the mobile phone. Always ensure that you make a backup of your settings before you reset your mobile phone as it cannot be recovered later once the reset has been done. The hard reset of the LG G3 is well explained below. The following hard reset of the mobile phone also works for the LG G3 LTE-A as well as the LG F460 and also the factory reset of the LG G3 Prime mobile phone. You can search this website for more information on resetting your mobile phone. You will need to backup your data before you do a reset as it will remove all your settings and passwords for your mobile phone. This is normally done when the phone is being sold.